Standup Paddleboarding in Sligo, Ireland! It is always good to have things to look forward to, and this summer I am excited to head back to Ireland, my “home away from home”, to meet up with family, and to take a weekend trip out to County Sligo, on Ireland’s west coast. 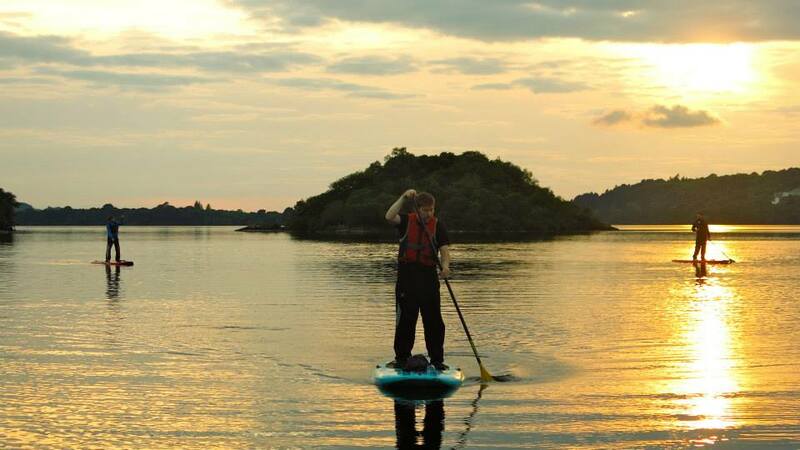 I am going there for a specific reason: to standup paddleboard on Lough Gill to the Lake Isle of Innisfree, an area made famous by W.B.Yeats. I found out that both of my sisters will also be in Ireland, so we are planning a “Triple Gill Thrill on Lough Gill”. If that’s not a headline, I don’t know what is?! BBC’s The World interviewed me about adventure travel opportunities in Ireland, and specifically the sport of standup paddleboarding, and why Ireland’s Sligo is quickly becoming known as the SUP capital of Europe! I hope you all have great adventures this summer! Thank you for following my adventures and (mis)adventures for the past 6.5 years. Here’s to even more in the future!